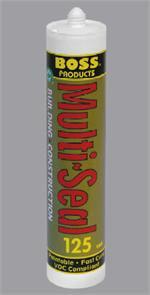 1-Part, Flexible, Polymer, General Purpose Sealer - 10.1 oz. 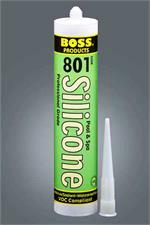 BOSS® 310 RTV ALUMINUM Industrial Silicone Sealant is a one-part acetoxy cure adhesive sealant that is suitable for general industrial sealing and adhesive applications. 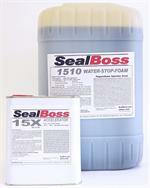 BOSS® 310 RTV BLACK Industrial Silicone Sealant is a one-part acetoxy cure adhesive sealant that is suitable for general industrial sealing and adhesive applications. BOSS® 310 RTV BRONZE Industrial Silicone Sealant is a one-part acetoxy cure adhesive sealant that is suitable for general industrial sealing and adhesive applications. 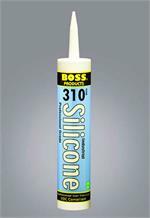 BOSS® 310 RTV GREY Industrial Silicone Sealant is a one-part acetoxy cure adhesive sealant that is suitable for general industrial sealing and adhesive applications. 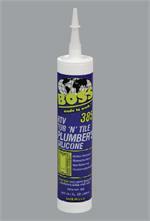 BOSS® 310 RTV WHITE Industrial Silicone Sealant is a one-part acetoxy cure adhesive sealant that is suitable for general industrial sealing and adhesive applications.